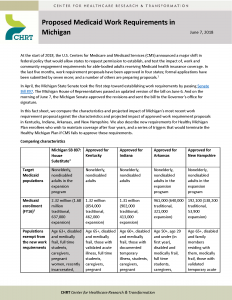 In April, the Michigan State Senate took the first step toward establishing work requirements by passing Senate Bill 897. The Michigan House of Representatives passed an updated version of the bill on June 6. And on the morning of June 7, the Michigan Senate approved the revisions and sent the bill to the Governor’s office for signature.